This is day 60 of Photo 365. 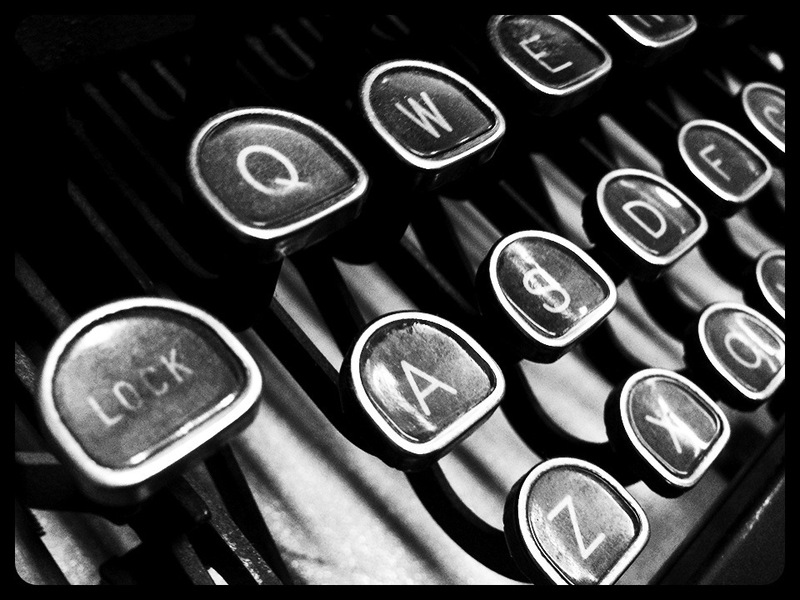 This entry was posted in Photography and tagged Photo 365, Saint Paul, typewriter. Bookmark the permalink. Just a natural/perfect subject for a B&W photo. Nicely done. I fondly remember pounding out TV news stories, cigarette hanging from my lips, on a typewriter. A bit more modern than this model, however. Love those keys! The sound of a typewriter is music to my ears. Great shot!